Rupert Murdoch has taken the stand at Leveson Inquiry for the second day, after admitting yesterday (25 April) that News Corporation's shareholders would like him to "get rid of" all the company's newspapers. During his four hours of evidence to the inquiry yesterday, Murdoch, chairman and chief executive of News Corporation, said: "I have no commercial interests outside of my newspapers – I love newspapers." News Corporation publishes newspaper titles around the world including The Times, The Sunday Times and The Sun in the UK, The Wall Street Journal and New York Post in the US, and The Australian in Australia. Shareholders in News Corporation include Saudi billionaire Alwaleed bin Talai, and institutional investor Christian Brothers Investment Services. 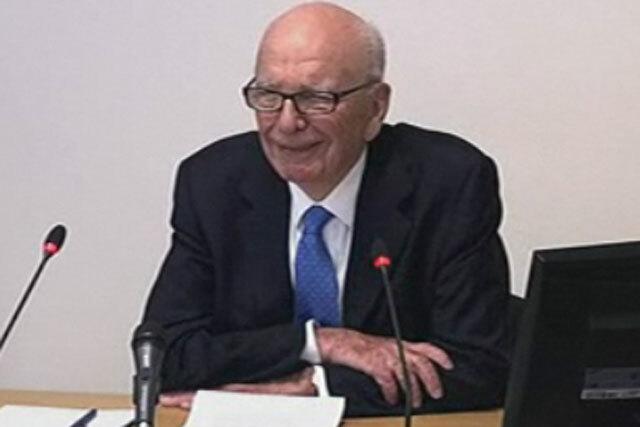 When lead counsel for the inquiry, Robert Jay QC suggested that Murdoch had a responsibility to his shareholders to deliver commercial success, Murdoch said: "They tell me so – they'd like me to get rid of them all." The Inquiry was called by Prime Minister David Cameron following the escalating outrage regarding revelations of the extent of phone hacking at News Corporation's defunct Sunday newspaper, the News of the World. When questioned about the use of private detectives and phone hacking in order to get stories, Murdoch said: "I don't believe in people using private detectives... I think that is a lazy way of reporters doing their job." Today (26 April), Jay asked Murdoch where the culture of cover-up came from. Murdoch said: "From within the News of the World. There were one of two very strong characters there who had been there many years. They were friends of the journalists. "The person I'm thinking of was a friend of the journalists and a drinking pal and a clever lawyer, and forbade them. This person forbade people from going to Mrs [Rebekah] Brooks or James [Murdoch]. That's not to excuse it at all." When questioned about the appointment of Colin Myler as editor of the News of the World, Murdoch said: "Myler wouldn't have been my choice as editor. I could think of some stronger people on The Sun." For live coverage of Murdoch's evidence, visit the BR News Blog.